From March 13-15, Behn Meyer Animal Nutrition and Behn Meyer Aquaculture shared a booth with their key partners at the VIV Asia in Bangkok. 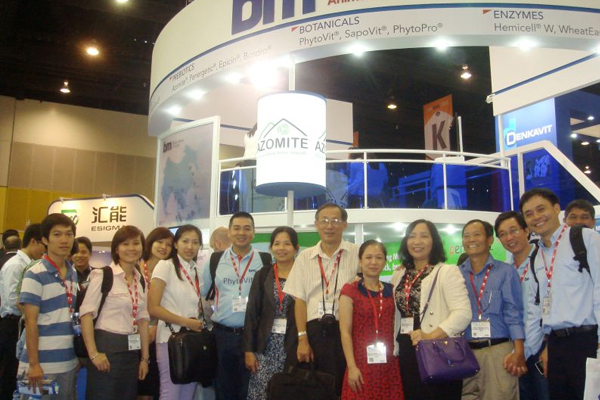 The VIV in Bangkok is the biggest trade show for the animal feed industry in Asia-Pacific and is held every two years. The Behn Meyer Group is among the most loyal VIV participants, having booths at the event since 1999 to showcase innovative solutions that are setting the industry standards. More than 30 regional specialists of Behn Meyer Animal Nutrition and Behn Meyer Aquaculture from Thailand, Malaysia, Indonesia, Vietnam and the Philippines accompanied their customers to Bangkok for this key event of the industry. 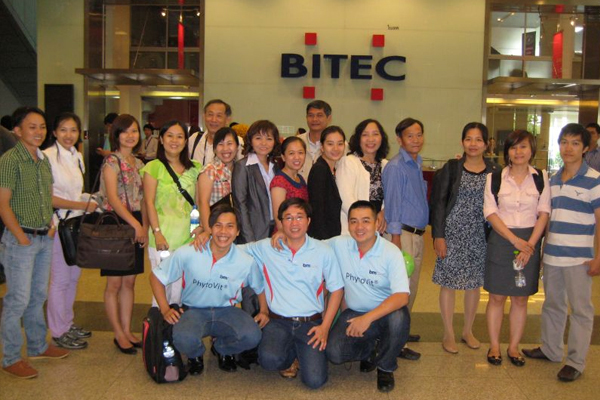 Prior to the show, Behn Meyer organized dedicated seminars with key customers and partners in Bangkok. The Behn Meyer Animal Nutrition booth featured a second floor meeting area where customers, partners and Behn Meyer colleagues discussed industry trends and Behn Meyer solutions in privacy above the crowds. For the first time, Behn Meyer Animal Nutrition's new corporate logo was unveiled to the public. Visitors to the booth were full of praise for Behn Meyer's passion and commitment to the feed industry that now found its visual expression with a dedicated logo. 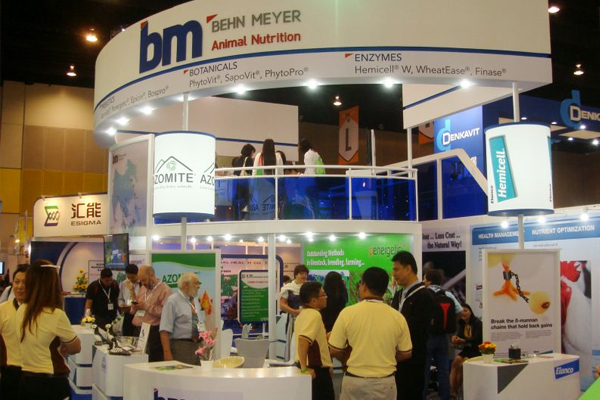 To mark another milestone, Behn Meyer Animal Nutrition launched its own products at the VIV. Both, the organic acid products as well as Behn Meyer's botanicals attracted a lot of attention. To complete Behn Meyer's portfolio of natural growth promoters, PhytoVit and SapoVit were launched as Behn Meyer’s new botanical brands, with combinations of botanicals and probiotics marketed under the brand name PhytoPro. For the organic acid range, Innovacid and Acid Guard were introduced as Behn Meyer’s new acidifier and mold inhibitor products. We would like to sincerely thank all our visitors and everybody who supported us during the show.